To reflect on the dream that I had last night, it was pretty hectic. Last night, I dreamt of being at work, and I was in meetings that lasted seven hours of my work day. After that, I was able to unwind with the start of Life Groups at Midland Free. After two hours of fellowship, I came home and got ready for bed. Then I woke up. I am about to finish my second day of learning spells. Technically, it’s my third day, but I’m making excellent progress. But like the dream that I had last night, I am starting to get burnt out. Zoria 1000 is missing me since I haven’t been able to spend time with her lately. I will more than make up for that when I am done with this book. Time for a few more spells! From my dream, today’s high is going to be 64 degrees and the silver lining is having time to unwind at tonight’s Life Group. To those of you who had a busy Wednesday, I hope that you all have a fantastic day. Zoria 1000: I miss Kyle. I mean, I got to see him yesterday, but that is not enough! I hope he’s ready for me, because I’m going to let him have it! I had an interesting dream last night. In the dream, I went to work and attended a Toastmasters meeting. Then I continued working and went home. My mom also made some bean soup for dinner and it was very good. I then got ready for bed. Then I woke up. For today, it’s been pretty chill and routine. It’s just another day of learning spells from the Poq Rez. After finishing these spells for the day, I will go off to bed. That is pretty much this day in a nutshell. Today’s high is going to be 60 degrees and the silver lining is being able to enjoy the rest of the day. To those of you who are enjoying this Tuesday, I hope that you all have a fantastic day. I had a rather awesome dream last night. In the dream, I looked at the weather forecast. The weather was going to be hot and sunny in my dream. And as was the usual case, I got up early and worked in my dream. After that, I got some grocery money and gas money for May and went shopping. I then came home. I got ready for the next day of work and got ready for bed. Then I woke up. In contrast, I had a rather frightening dream after my awesome dream. In this dream, a man named Zardin visited me. He told me to stop learning magic. I see where he’s coming from. Was my 13-year old self really this lost? I told Zardin that I would try to limit my usage and use it only for self-defense. After all, I know such things should not be practiced by men. My 13-year old self didn’t know at the time. For now, I use what I have learned to protect Zoria 50000 at all costs. Well, I’m going to read the Poq Rez again. After that it’s bed time. I don’t know what planet we’ll be going by next but it’s nice to have the Zinkez 7546 Enterprise back. From the dream, today’s high is going to be 80 degrees and the silver lining is being able to enjoy the hot day later. To those of you who are enjoying this hot Monday, I hope that you all have a fantastic day. Me & My Muse – Day 2113: Happy Easter! Today marks the day of the resurrection of Jesus. From his death on Friday, he has conquered it. And this day is proof that he has. So Easter is not about fertility and spring. Although the name is derived from Ēostre, this is no longer observed. 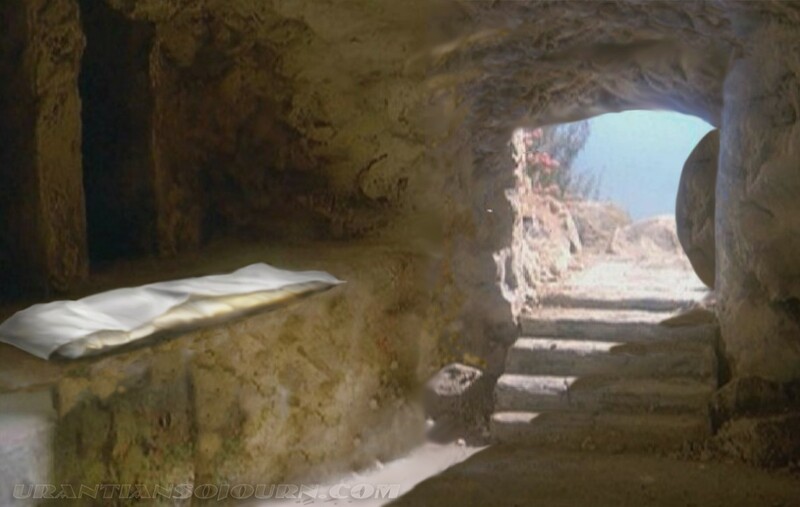 Muse: He has risen indeed! Today’s high is going to be 67 degrees and the silver lining is Jesus rising from the dead. To those of you who celebrate Easter, I hope that you all have a fantastic day. Muse: Time for a decorated egg and some delicious chocolate! Happy Easter everyone! In continuing from yesterday, the story arc will be paused for the whole Easter Weekend. So far, today has been quite relaxing. I woke up and I had breakfast. After that, I took a shower and I helped my dad move grandma and grandpa’s TV and transport it to Steve and Jack’s TV Repair Shop in Midland. After that, I got back home and I finished my audio. For my audio, I listened to my usual daily three chapters, getting near the end of Leviticus. With it being the Easter Weekend, I also spent an hour, listening to the last chapters of all four gospels. The only parts that I didn’t listen to were the resurrection, which I will listen to during Easter tomorrow afternoon. I then finished my journal. All that’s left is this blog (which is what I’m doing right now) and the message boards. I will also help my mom make a dish to bring over to grandma and grandpa’s tonight for Easter dinner. I will help her with that and maybe play a little bit more of Yoshi’s Crafted World if there’s time. I will then have Easter dinner at grandma and grandpa’s and will play some more Yoshi’s Crafted World when I get home. That is pretty much this day in a nutshell. Today’s high is going to be 56 degrees and the silver lining is having an extra day in the weekend. To those of you who are enjoying the extended weekend, I hope that you all have a fantastic day. So why is this Friday so good? It was because we were so bad. This Friday is the day that Jesus died on the cross. And we are all responsible for his death. Why were we responsible? We weren’t even the ones that shouted “Crucify Him!” While we have never shouted this, or were around when he was alive, we have all sinned. Since we have all sinned, that made it necessary for Jesus to die for all of our sins. The very act of our sinning has put us on equal ground with the Jews that wanted Jesus to die. Our sins is the very reason why Jesus was killed in the first place. And that leads to the reason why this Friday is so good. With the sins that we have committed, we are all destined for Hell. Every one of us. But Jesus died in place of us. He bore every one of our sins. When he said “It is finished.”, he meant it. Death was conquered. Sin was conquered. Every person could now be saved through him. He stood in the gap with the cross, forming a bridge between God and man. With the death that he died, nothing can separate us from him. Nothing can separate us from God and nothing can separate us from Jesus. And that’s why this Friday is so good. Muse: I didn’t want to interrupt, but that was wonderful. Muse: I will be quiet now. If you need me, I’ll be in the other room. Okay. I will now get ready for the day. Today’s high is going to be 50 degrees and the silver lining is Jesus dying on the cross. To those of you who are glad that Jesus died, I hope that you all have a fantastic day. Me & My Muse – Day 2110: I want a PIZZA! To review, today has really been a combination of frustration and disappointment. Before I get to that, I would like to share what I dreamt of last night. Last night, I dreamt that I got up early and went to work. After working the whole day, I got a couple groceries and then went home. A little while later, I went with my family over to my sister’s house for some delicious pizza. And no. She didn’t just dial Dominos and order it. This was homemade keto fathead pizza. It was so good and there was even salad to go along with it. After feeding my face with my family, we went home and I called it a night. I then woke up, regretting that I did. That pizza was so delicious. Can I go back to sleep and dream about that pizza again? Now for the disappointing stuff. Since last night, I had trouble falling asleep. I was thinking that maybe Zoria 1000 could give me a stronger sleep spell. I went to check on her. I pulled back the covers, and she was gone. I woke Pix 200 and Zinka 160 and told them the bad news. They told me that we would talk about it in the morning. After that,, I didn’t sleep very well. It was a very rough night. And it was also a very rough day as well. Even in the morning, Zoria 1000 was not there. We got our things and checked out of the hotel. Since this morning, I have been sitting in the lobby with Pix 200 and Zinka 160, trying to figure out where Zoria 1000 went. I’m thinking that she was trying to make some money to pay for our ship’s repairs. Another idea I have is that she dreamt that she was back on Zorpoz. Maybe she is still there and she needs to dream herself back. That’s where I hope that she is, anyway. Anyway, I see a ship touching down. It’s…Oh my gosh! It’s the Zinkez 7546 Enterprise! Zoria 1000 has to be on that ship. Anyway, I’m going to wrap this up now. For my dream last night, today’s high is going to be 62 degrees and the silver lining is having some delicious pizza. To those of you who like homemade pizza, I hope that you all have a fantastic day. It’s okay. We can discuss it on the ship, okay?